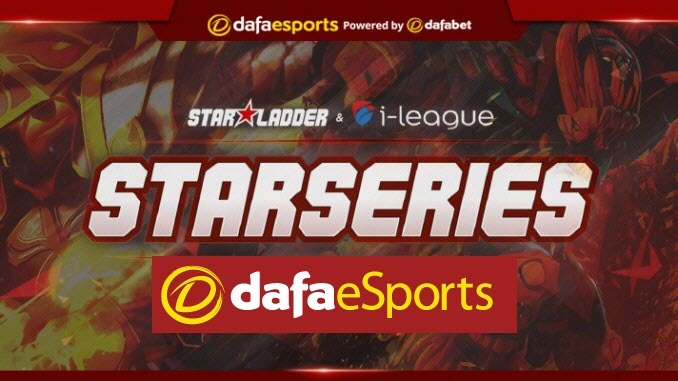 StarSeries & i-League Season 7 features some traditionally-strong teams looking to get back to form, recent surprise performers bidding to maintain their level and numerous contenders out to prove themselves – potentially a great mix. The 16 teams get their campaigns under way this weekend at the Baoshan Sports Center in Shanghai, China. After their stunning showing at the IEM Katowice Major that saw them reach the play-offs, Renegades have a shot at continuing their incredible journey through 2019. The pairing of jks and Gratisfaction has, thus far, worked wonders, with each finding a higher consistency than had been anticipated entering the year. Also, the continued evolution and improvement of AZR has no doubt been a significant factor, with his ability to have key impact plays as the in-game leader coming in handy. If Renegades can once again find success at an event featuring solid competition, such as this, they will further establish that the Major was no fluke and that they are here to contend for quite some time. Dafabet have them at 12.770 to win the title. One of the most entertaining teams to watch of late have been Team Vitality and they open this event with an intriguing bout against BIG. Vitality, who are 1.510 favourites to beat BIG (2.590), have been the definition of a one-man army, with ZywOo having to time and time again carry his team over the finish line. However, things will be more difficult for ZywOo and co, with this event featuring a best-of-three Swiss System which generally favours more rounded teams. Keep a close eye out for the play of apEX, a fiery and emotional player who can be difficult to stop once he gets going due to his ever-aggressive entry style. Vitality are 9.270 for overall victory. NRG bring the latest rendition of their line-up to this event, with tarik joining the fray post-Major. tarik joined in place of FugLy which gives NRG a distinct increase into their overall firepower and versatility, although FugLy had been a key team member. FugLy was the perfect veteran support for this squad, but NRG appeared to peak as soon as they became a top-10 team and were unable to get over the hump in big matches. tarik brings Major-winning pedigree and ability, and his presence creates a potentially-terrifying four-star line-up with hype building around them. It is early, but this looks the perfect tournament to be a test run for this squad offline, with CeRq having only just being given the green light to travel following a visa issue. There is more pressure than ever on in-game leader daps, who now has no excuses if he is unable to perform at the highest level with this bevvy of talent. NRG can be backed at 8.130 to conquer all, a price which makes them third favourites behind Natus Vincere (3.750) and ENCE (3.790). After a shockingly-poor performance at BLAST, MIBR were left reeling. Not only did they drop all five of their matches on home soil, they also ended up losing every 1v1 contest against ENCE and left themselves completely shell shocked. coldzera remains their best player but the issue of not having a second star emerge, despite the presence of multiple talented players, has reared its ugly head, with MIBR in a desperate need of a win in their opener. The good news is they are red-hot favourites to claim such a victory – at 1.062. Their first opponents are Panda Gaming who, it should be kept in mind, are not some random team but instead CyberZen with ayaya added to the roster. They are, however, 9.390 outsiders for that opening clash. If MIBR – 8.360 for the title – cannot perform here and at the very least make some headway against some of the top teams, then there will be serious questions about how long this line-up can remain together before a roster move is made, perhaps out of desperation more than anything else. In previous years this is the type of event fer would live for, with the hope no doubt being he can begin a comeback to the top here.